Conceal is a 1 Mana Cost Common Rogue Spell card from the Hall of Fame set! 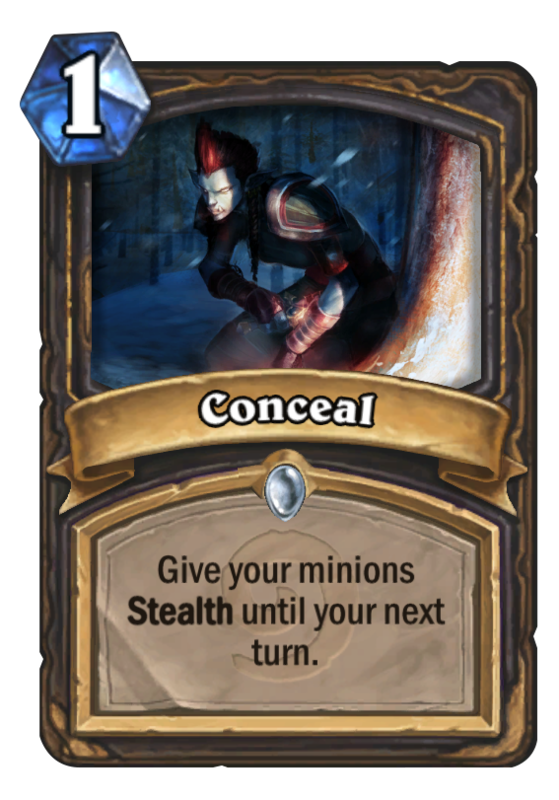 Rogues conceal everything but their emotions. You can't get 'em to shut up about feelings.